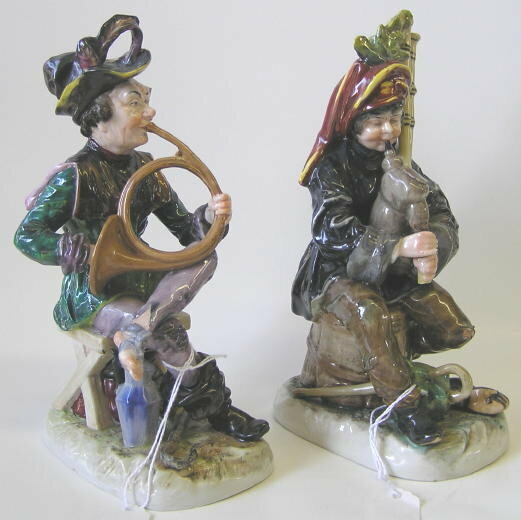 Included here are two antique Capo di Monte porcelain figurines depicting musicians. One is a bagpipe player and the other is a French horn player. They measure 8 x 3 x 4.5 inches and each weighs 2 lbs. 10 oz. Condition is excellent, with no cracks, chips or restorations to any outer surface. 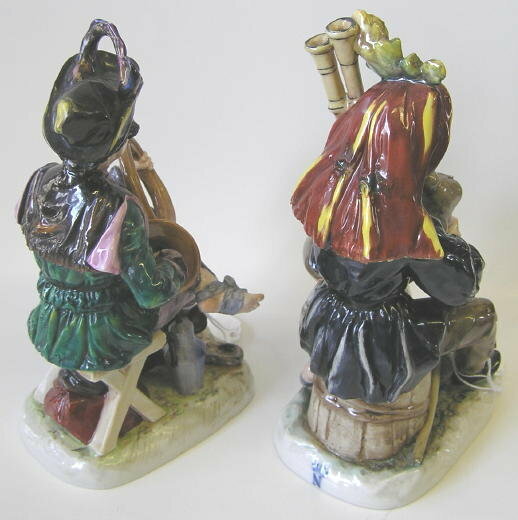 There is a modest chip from the underside of one figurine which can be seen in our image below. One carries the " N " with crown Capo di Monte painted mark, while the other carries the mark on the base of the rear. Thanks for visiting. Please let us know if you have any questions or comments. 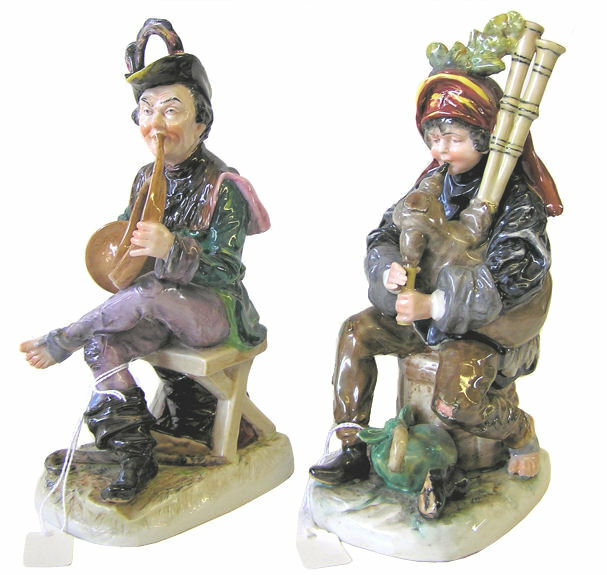 Items Similar To "Pair Capodimonte Musician Figurines"